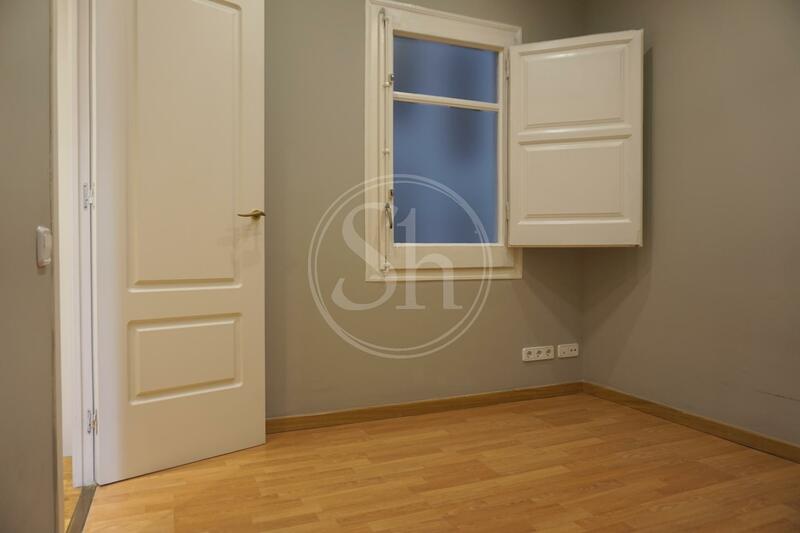 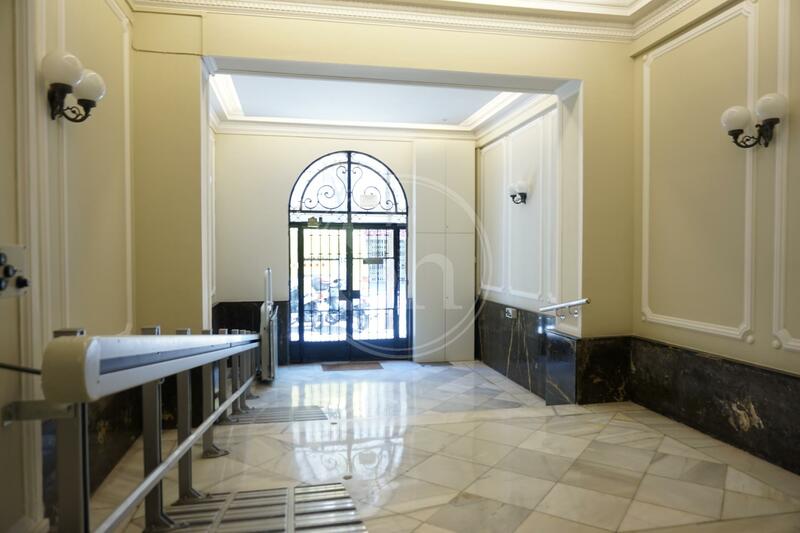 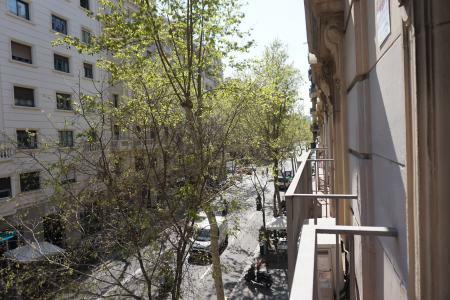 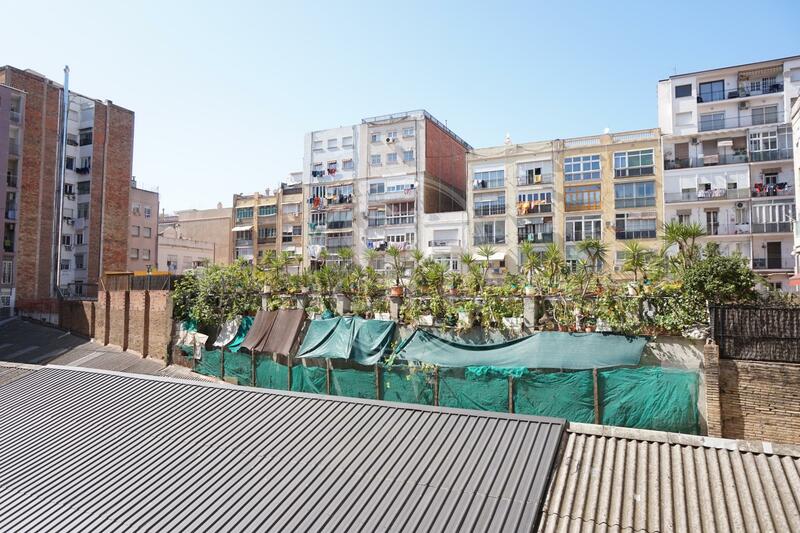 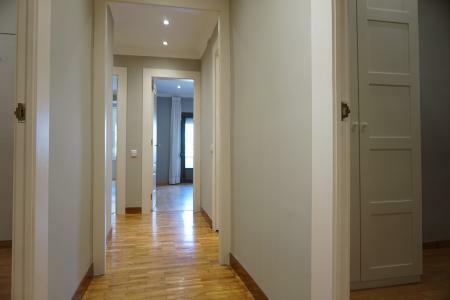 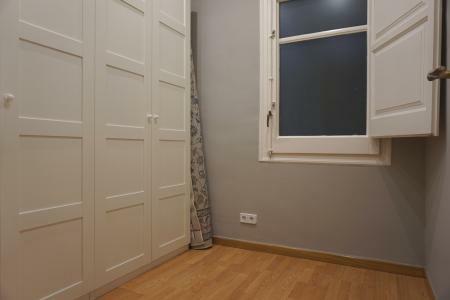 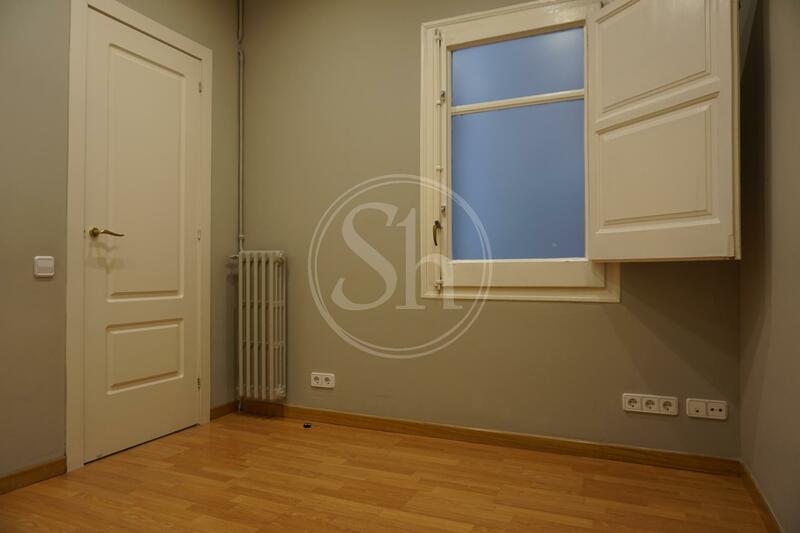 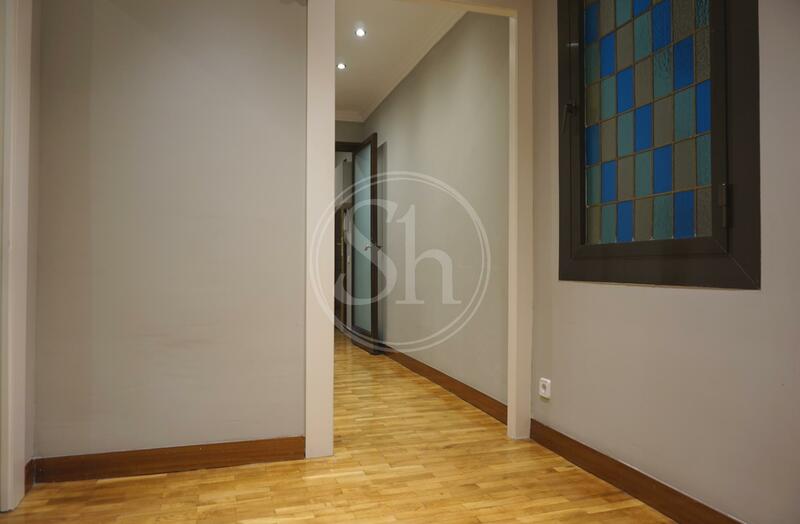 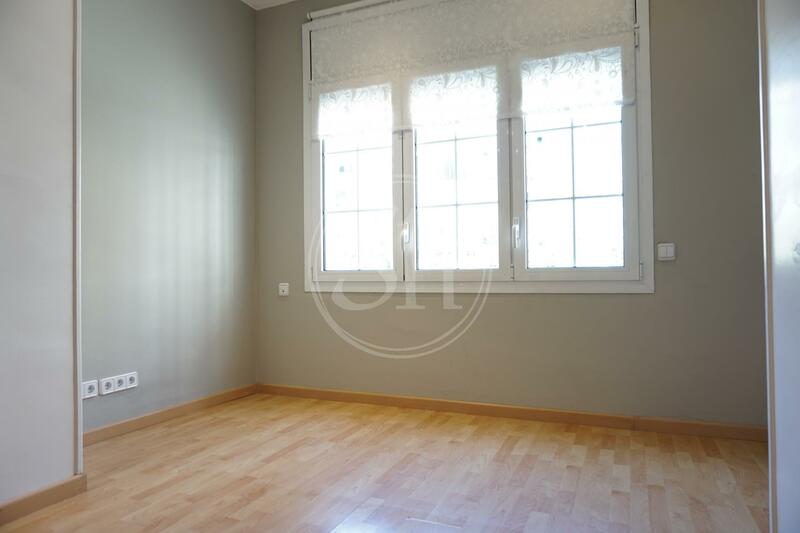 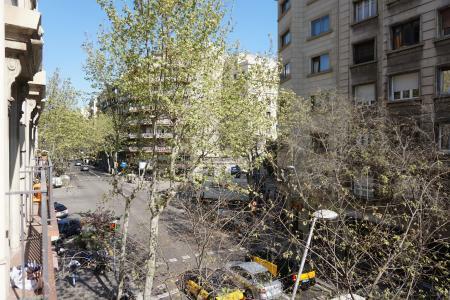 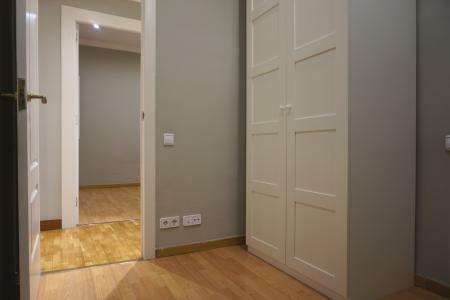 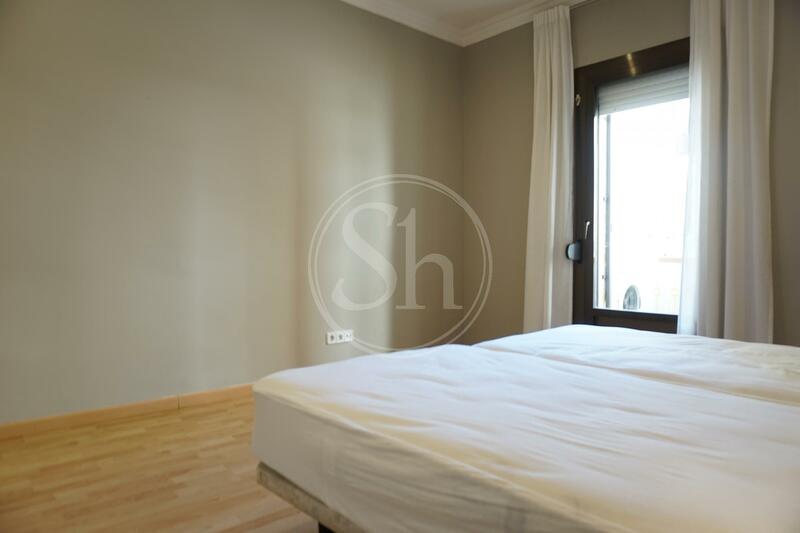 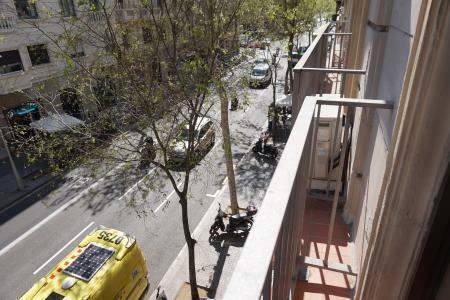 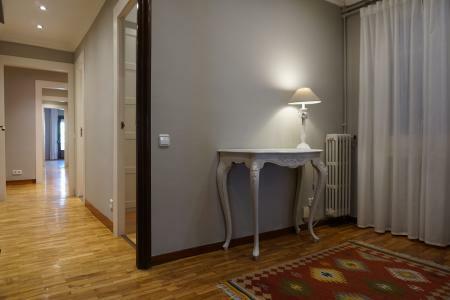 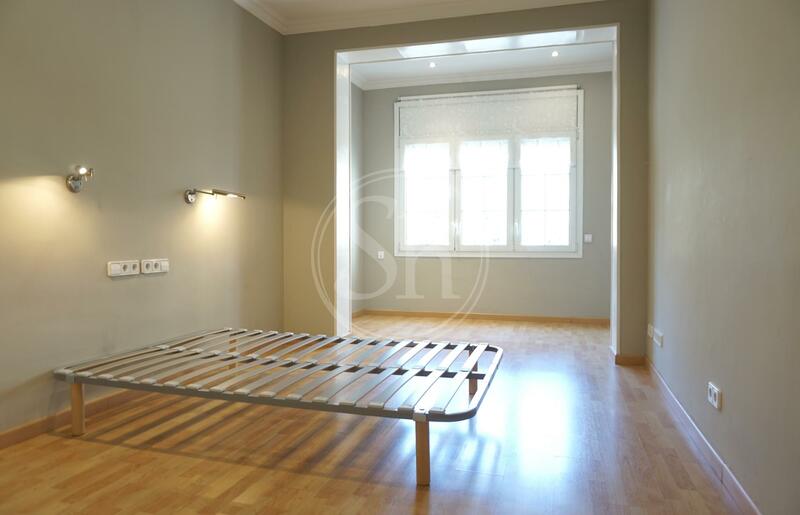 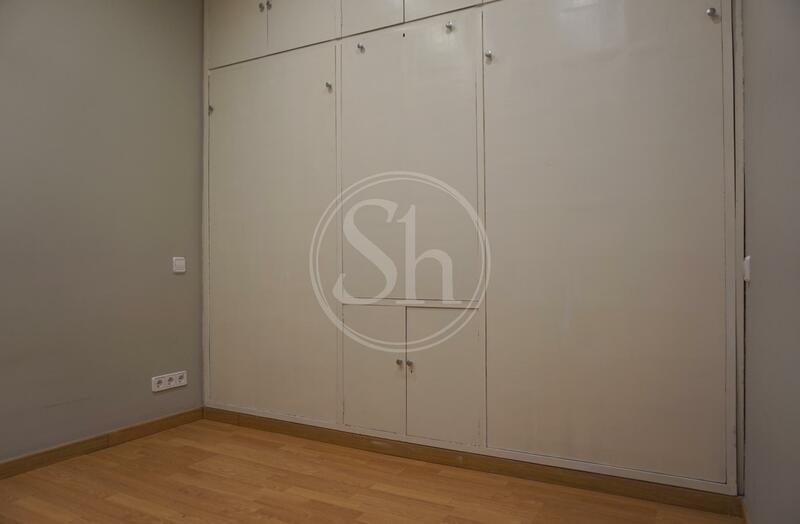 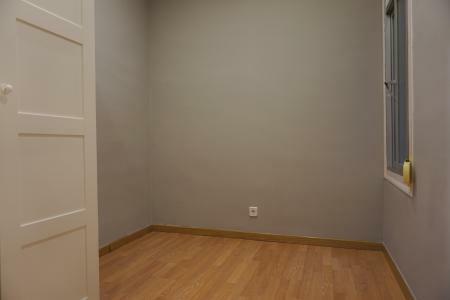 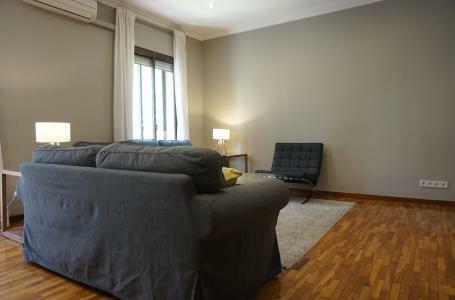 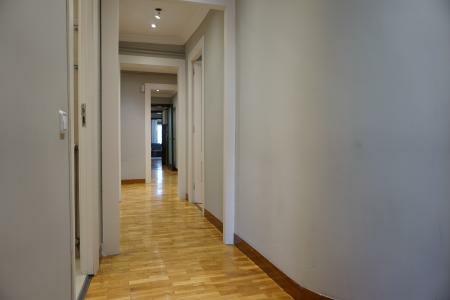 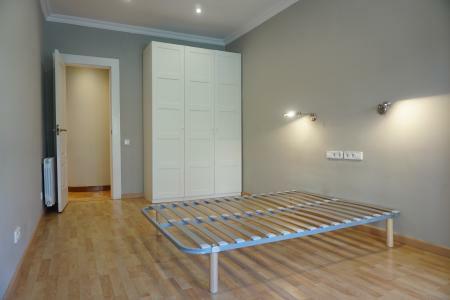 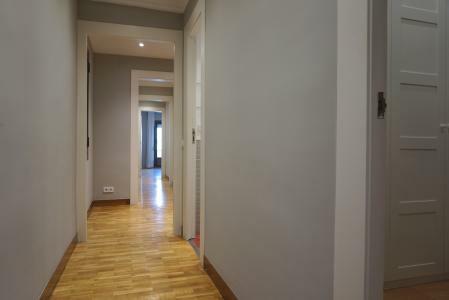 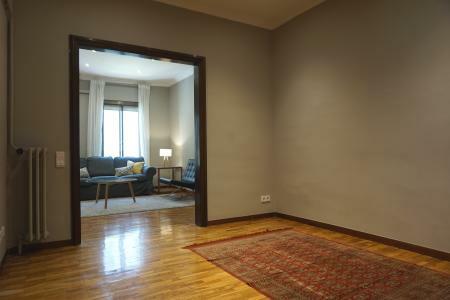 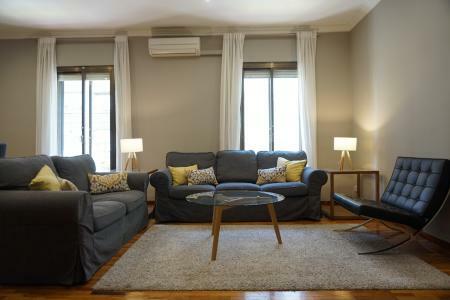 Flat for rent in Eixample, in the neighborhood of La Antiga Esquerra del Eixample in Barcelona. 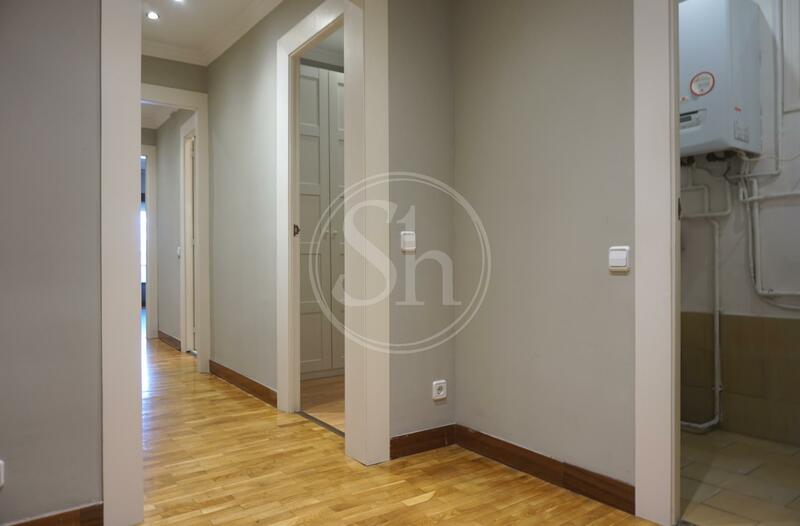 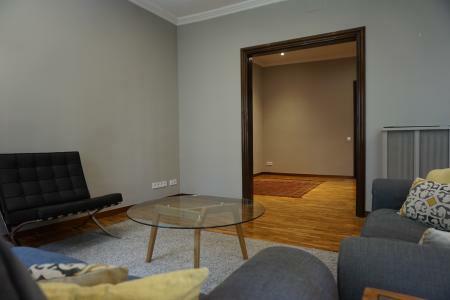 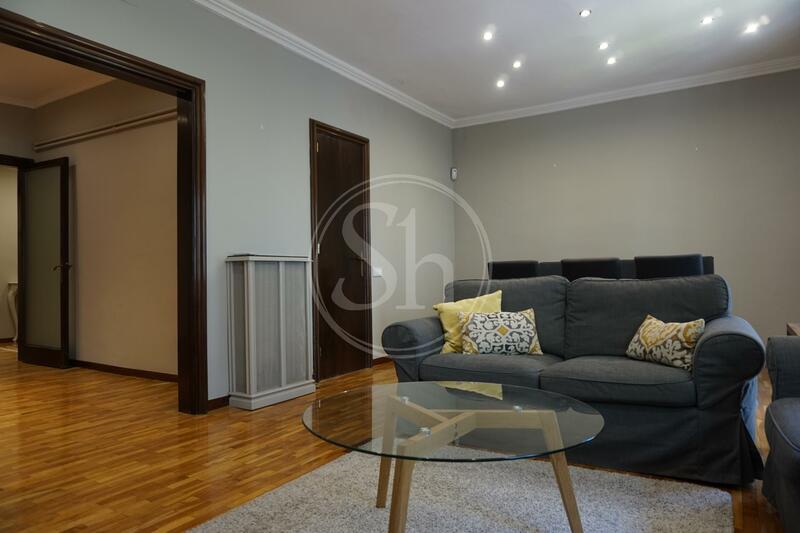 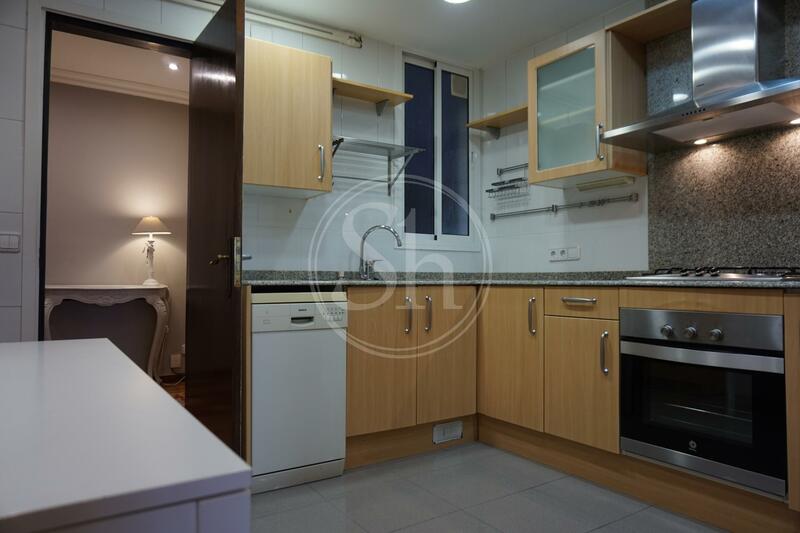 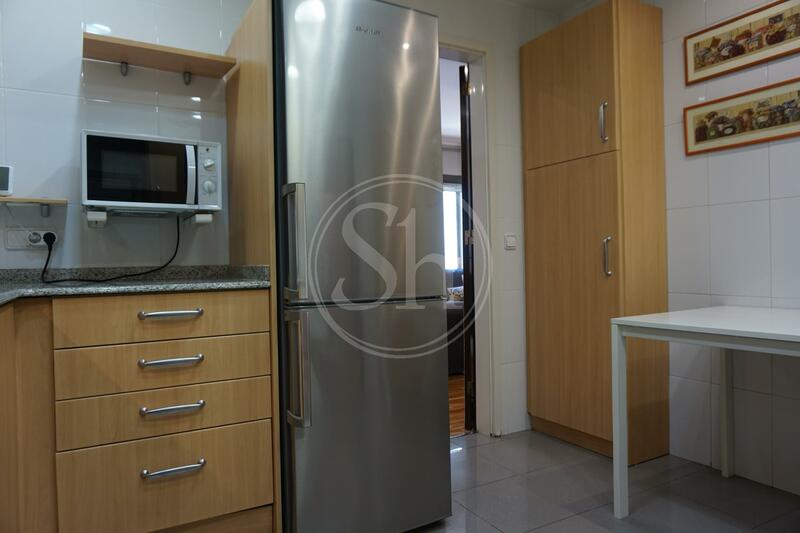 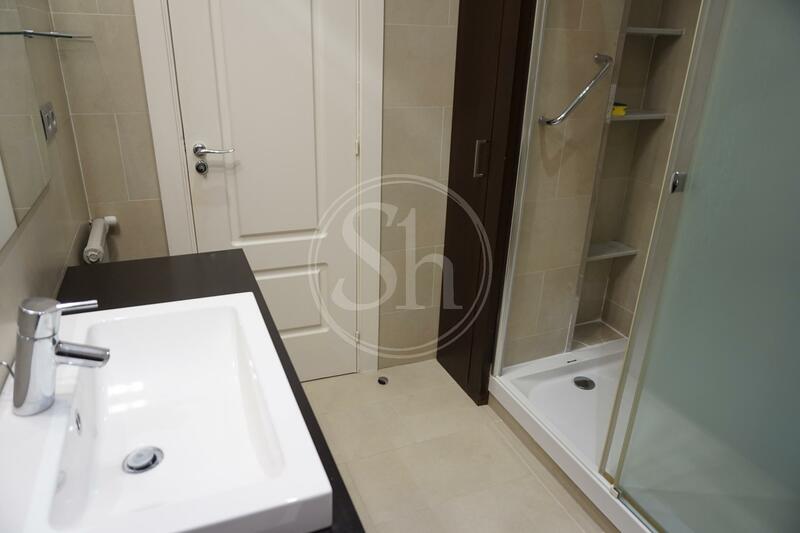 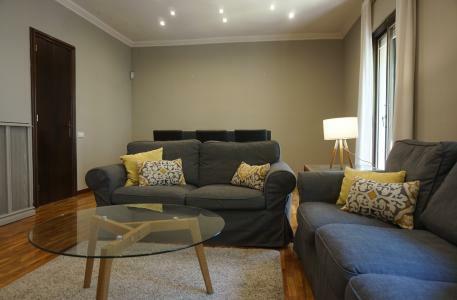 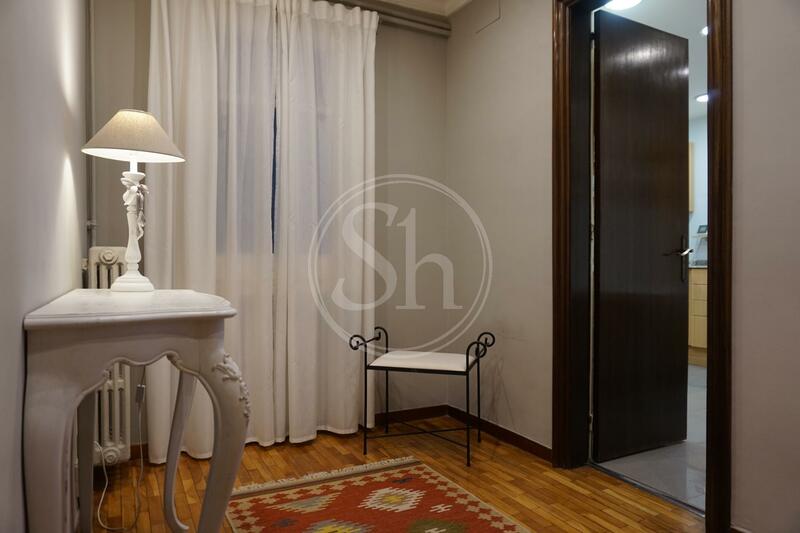 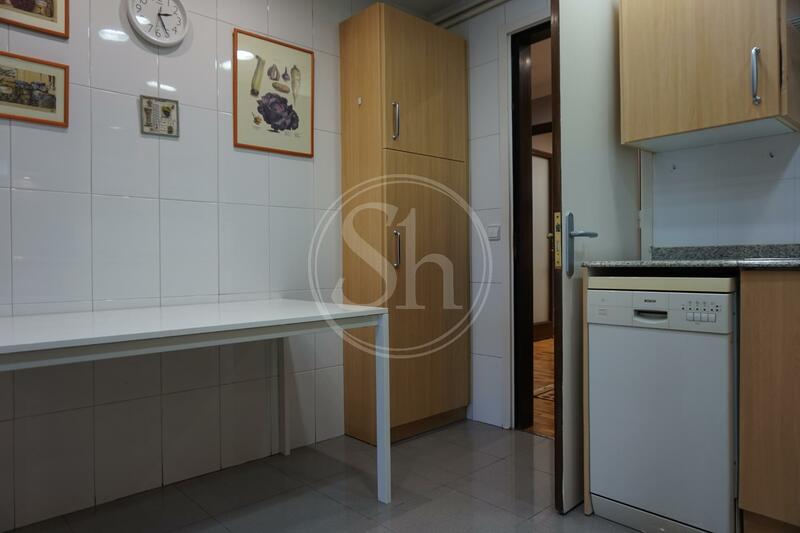 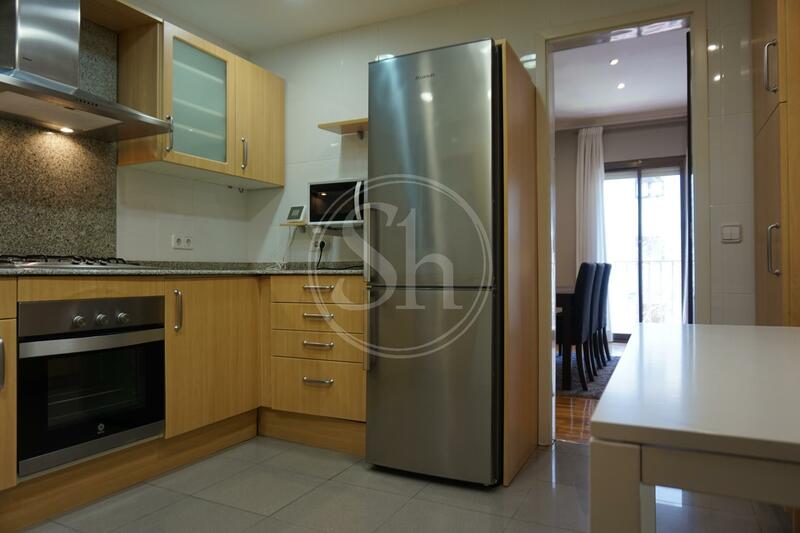 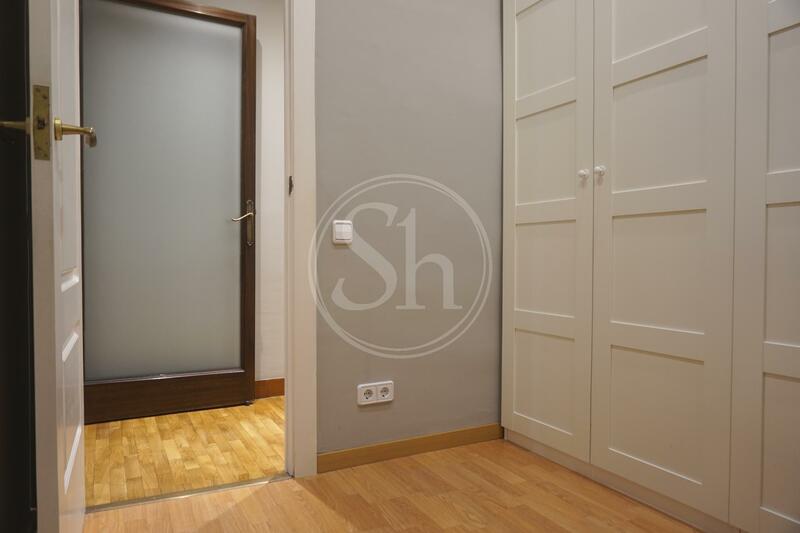 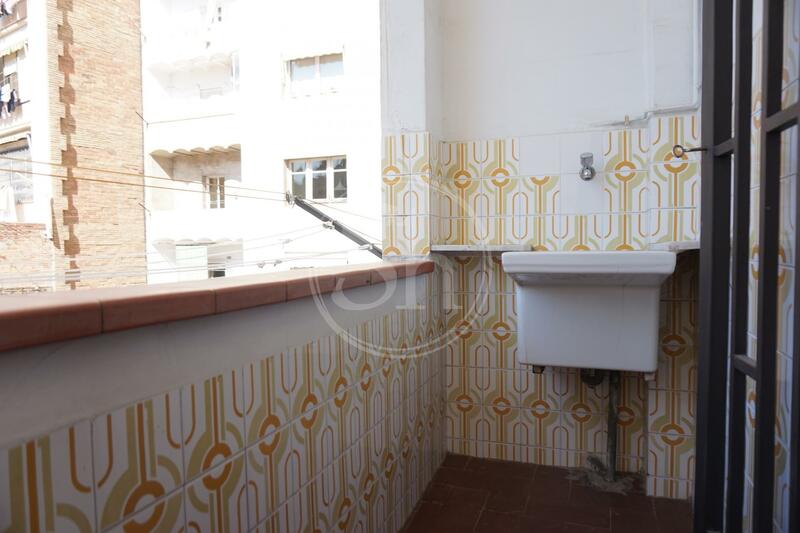 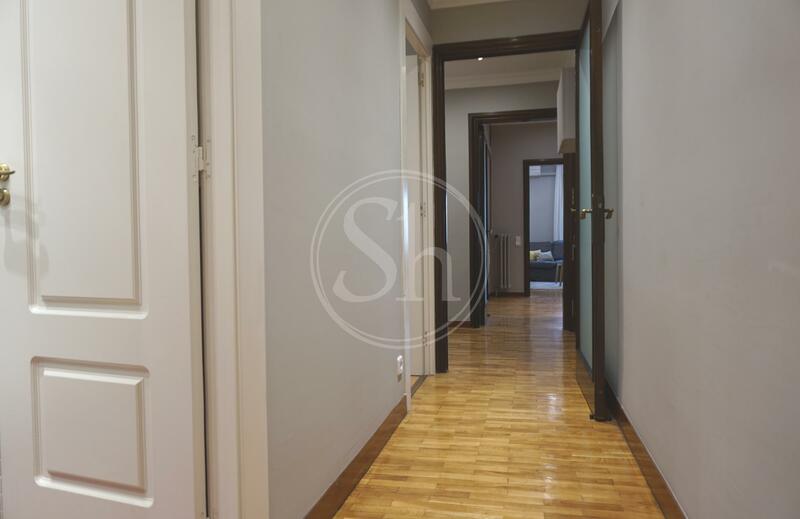 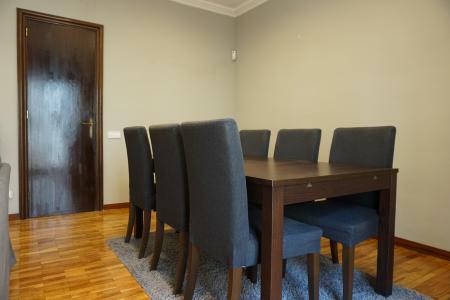 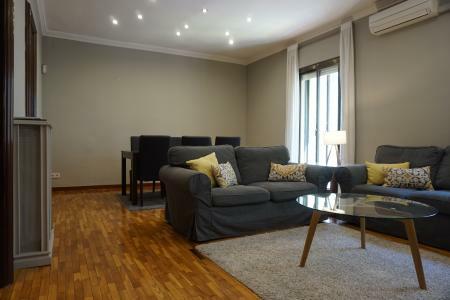 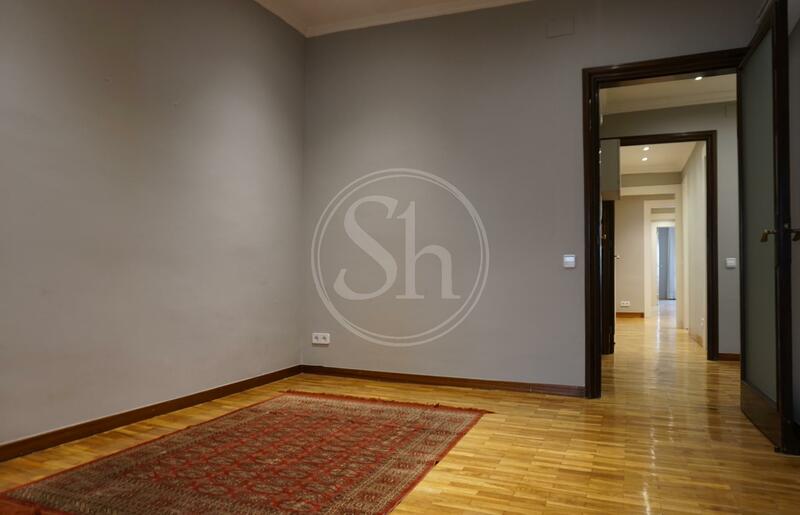 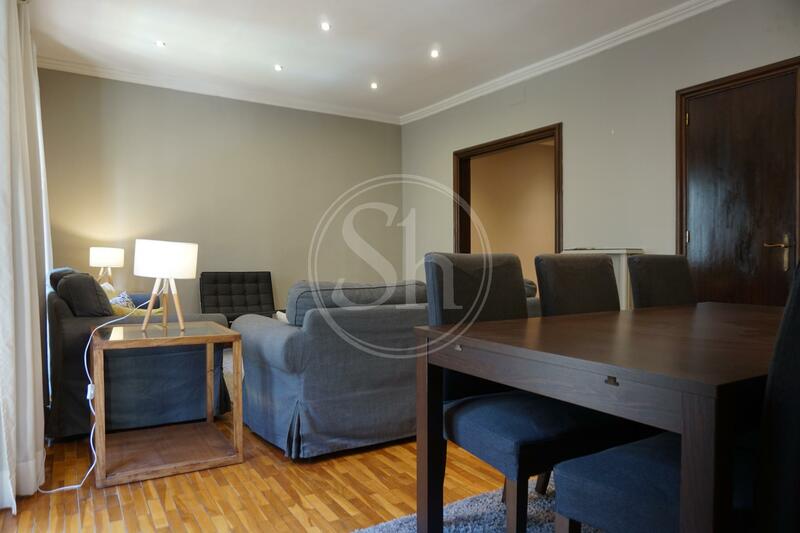 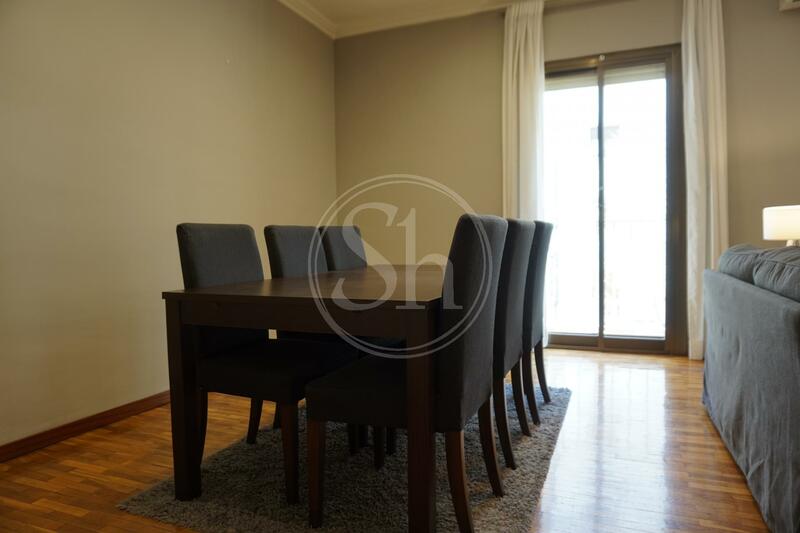 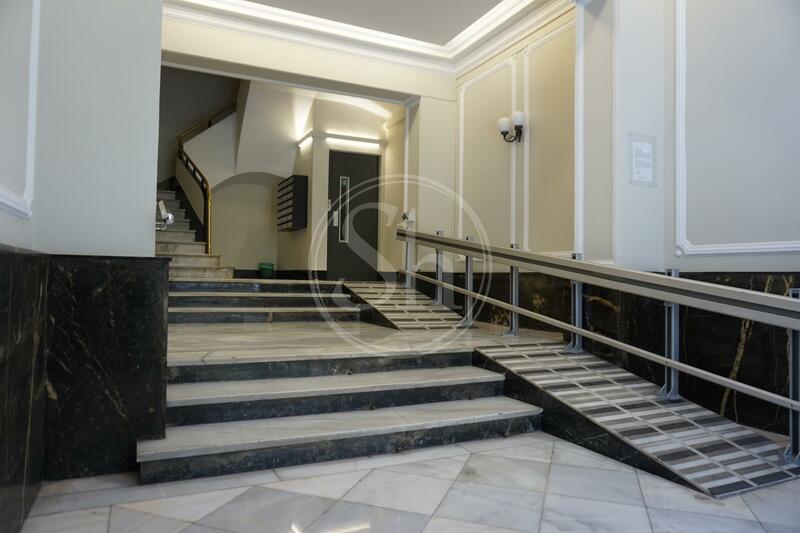 Semi-furnished flat with 156m2 of living space, wooden floor, double glazed aluminum windows, air conditioning in dining room and gas radiator heating throughout the floor. 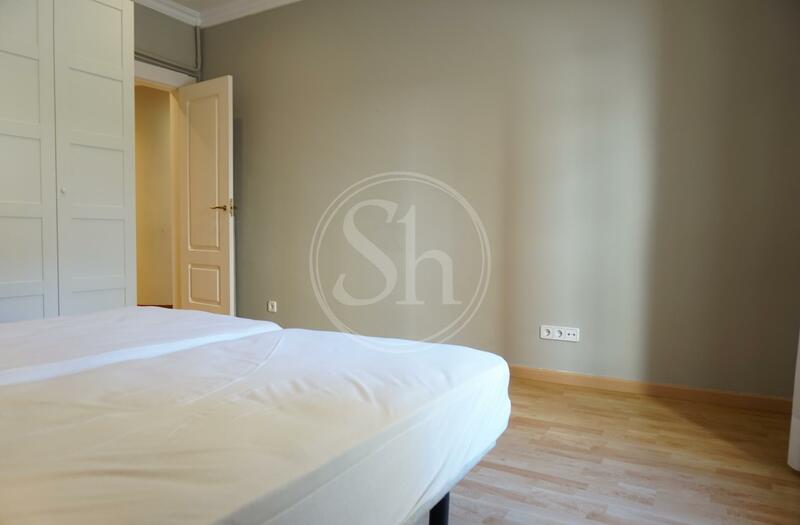 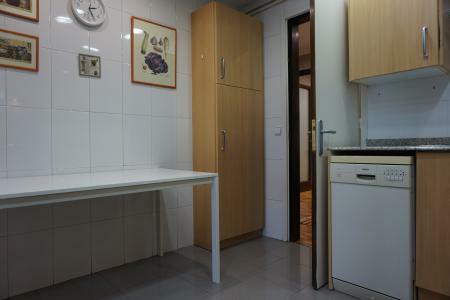 The apartment has a spacious and bright living room and a fully equipped kitchen. The property is equipped with five rooms (three doubles and two singles). 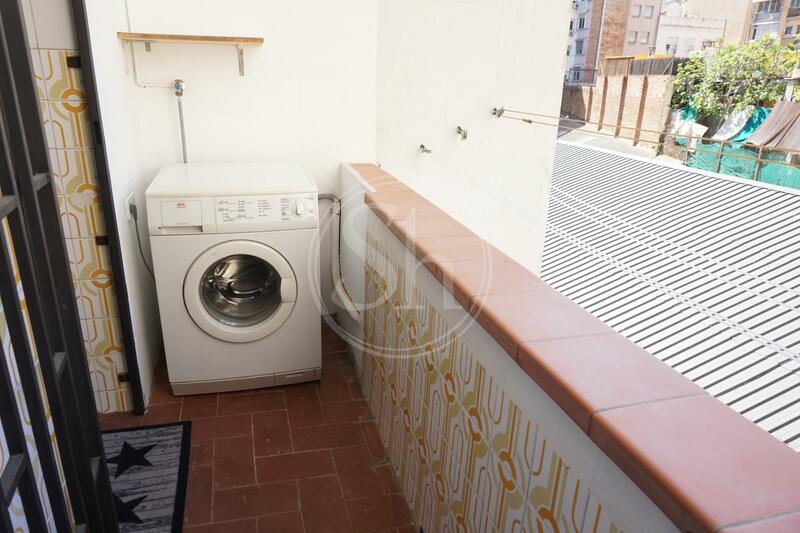 Of the three double bedrooms, two are very spacious and bright exterior, one of them with access to the interior balcony with washing machine, laundry and drying rack. 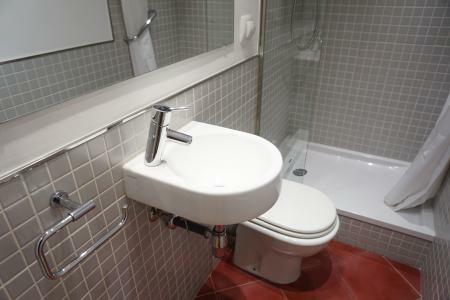 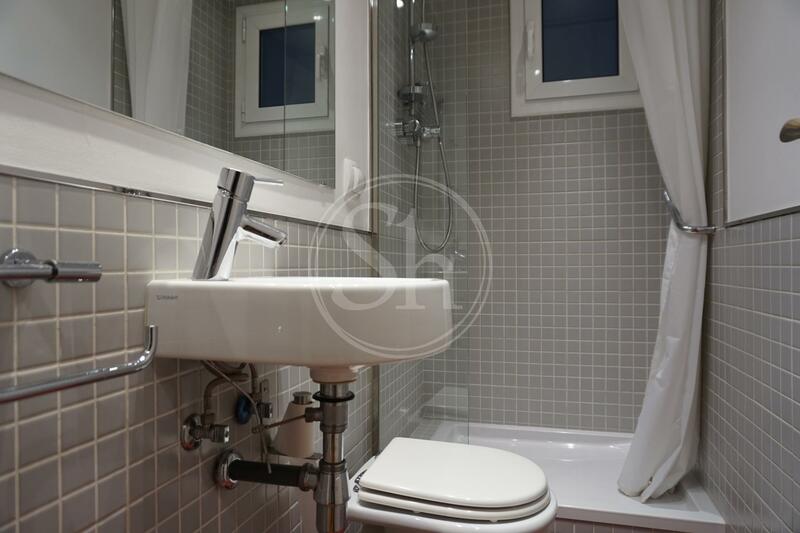 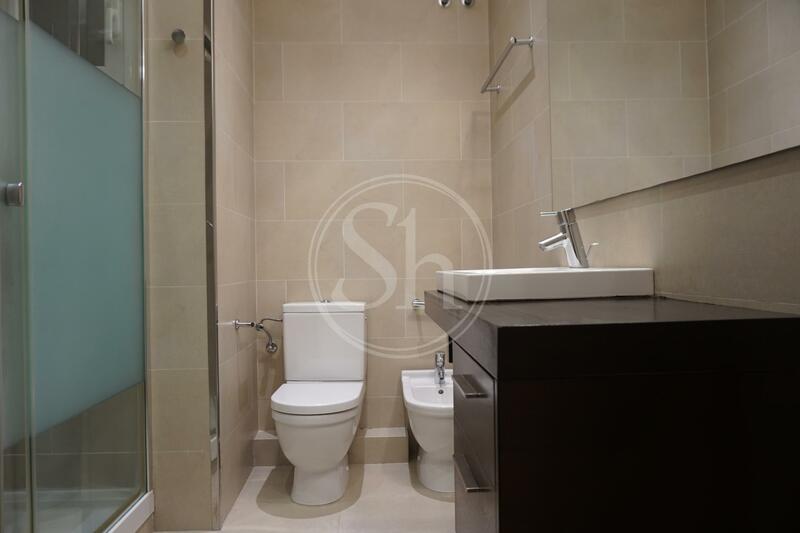 The apartment has two renovated bathrooms, one with a shower and the other with a bathtub. Second floor in building with elevator perfectly located and communicated.